Our next Multi-Phase Project is announced! Utilizing improvisation, ensemble musical exploration, text analysis techniques, and guided discussions around the themes of the play, the cast, director, dramaturg, and scenic designer mount a weekend of public performances. The goal is to garner audience response and open up a conversation of the play’s social implications. Next, the ensemble takes what was learned from the Workshop and delves deeper into the play. During this phase, the themes and messages of the show, the logistical and technical possibilities, and the overall concepts are discussed and explored. The ensemble also explores sound and composition through a technique called Soundpainting. In this phase, the designers take the stage. 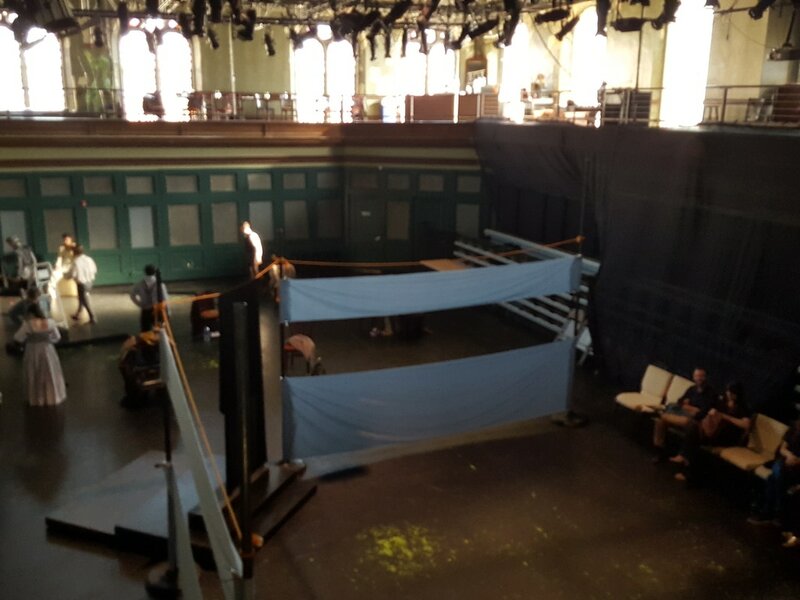 Resident Designer, Steven Brenman, builds to-scale models of the set for the actors to explore and experience. Our vocal coach works with the actors to fill the expanse of the space of the venue. Lighting and staging are explored. To incorporate the new design elements into the story, the ensemble plays with ideas in the Irondale space. Exploring levels in space, spacing, projection, and staging.After months of rehearsal, the final production is mounted!